What’s so special about the park? Lots, to be sure — scenic drives, great hiking trails, beautiful waterfalls and mountains, and an assortment of wildlife. But the single most amazing thing is that it’s home to the largest living things on the planet, namely the giant sequoia trees. Sequoia trees were plentiful at one time but now there are just scattered groves remaining on the western slopes of California’s Sierra Nevada mountains, the most accessible being here in Sequoia NP. Many of the groves are quite remote and hard to get to — probably good for their survival and protection — but there are some groves you can drive right up to and walk into. They are the largest living things on the planet (height of 286 feet (87 m) or more, a circumference of 113 feet (34 m) or more, an estimated volume of up to 52,500 cubic feet (1,487 m3), and an estimated life span of 1800–2700 years. They are among the fastest growing organisms on earth. 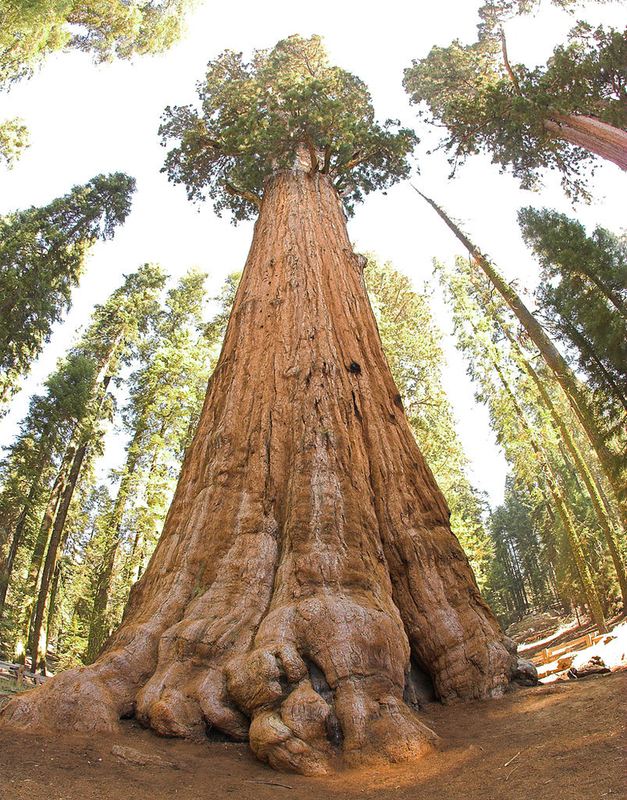 A giant sequoia can grow 40 cubic feet in volume each year — equivalent to a 50 foot tall tree one foot in diameter. To walk among a forest of these giants is almost a spiritual experience — so small does life seem in comparison. Besides their amazing size, I’m always fascinated at how old they are — many of these trees were already huge when Jesus walked the earth. 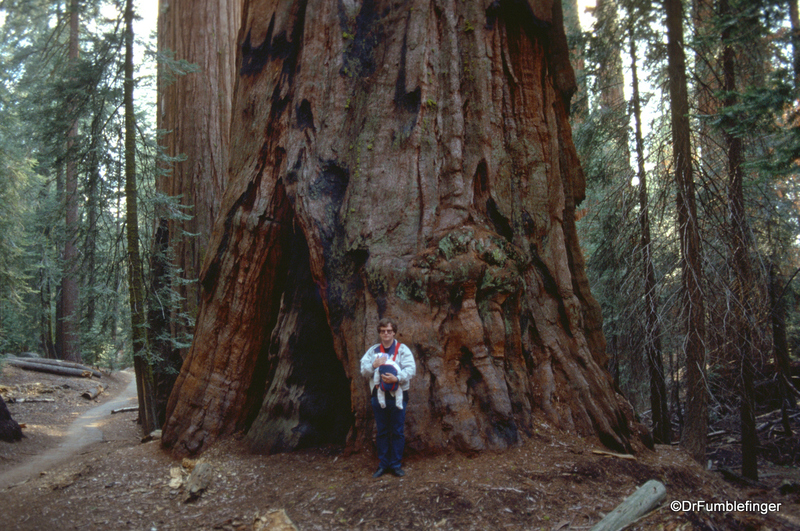 Many sequoias are scarred by burn marks from old forest fires (they are very fire and pest resistant). The trees have fairly shallow roots, and the erosion of their root system can be fatal to them, which is why you should stick to the designated walking trails when near them. 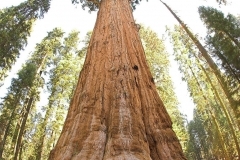 The best single place to experience sequoia trees is in the Giant Forest, where you’ll encounter the General Sherman tree — the most massive of the sequoias and as such the largest living thing on earth. In this same grove are another 4 of the 10 largest sequoia trees in the world. Going through these images, I’ve a strong desire to get back to these mountains while I still am able to walk among these beheamoths. I suggest you do the same.